By the mid-90s, Apple was in trouble. Few people were buying Apple computers, and the company had not been profitable in years. Ironically, it was Microsoft that gave Apple the loans necessary to continue, and the return of Steve Jobs provided Apple with some much-needed ingenuity. Shortly after Jobs returned, Apple released the iPod music player, and Apple has since risen to become one of the most profitable companies in the world. During this rise, Apple Mania struck the media, and it is difficult to read news about technology without being overwhelmed by praise for the company. Based on recent developments, however, some are predicting that Apple Mania will begin to wane. Here some of the reasons why Apple's reputation may begin to dip in the future. When Apple first released the iPhone, it looked as if they would have little competition. Google, however, wanted to prevent Apple from building a monopoly in the smart phone realm, and they released the Android operating system. The Android operating system is free to use, and many manufacturers turn to it as a competitor to Apple's iOS operating system. Through the years, the Android operating system has met and surpassed iOS in terms of power and flexibility, and many people prefer to Apple's offerings. While reviewers and technology writers have been reluctant to recognize the advantages of Android, few can now deny that Android is a viable competitor in terms of innovation and features. Apple makes a large profit on their desktops and laptops, but their market share has only risen slightly. Despite offering products with great build quality and innovative features, most people prefer ubiquity of Windows and the lower price points of PCs. Unless Apple is willing to target lower price points, OS X will remain a relatively minor player. In addition, some believe that iOS devices will eventually fall in terms of market share, and some predict that Android will become the smart phone equivalent of Windows. As a result, it will be difficult to justify Apple Mania in its current form. Apple has long had a reputation for being the alternative operating system. Users are encouraged to "think differently" and view themselves as rebellious in nature. 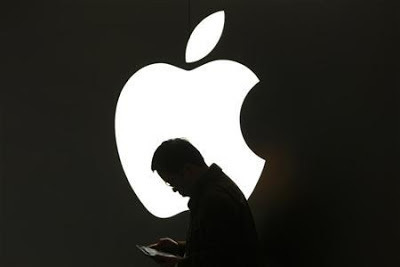 The dominance of Apple in the smart phone and tablet markets, however, has made Apple the default choice when talking about smart phones and tablets. In addition, many people are getting tired of hearing about every new Apple product released, and some people are vocally complaining about the amount of press that Apple receives every time a new iPhone or iPad is released. While Apple devices will likely continue to receive press in the next few years, the media's interest can be expected to drop eventually. It should be noted, however, that Apple aficionados will likely continue to loudly tout the benefits of their Apple devices. Even though Apple Mania may disappear in the general public, Apple fans will surely continue to brag about their favorite Apple devices.